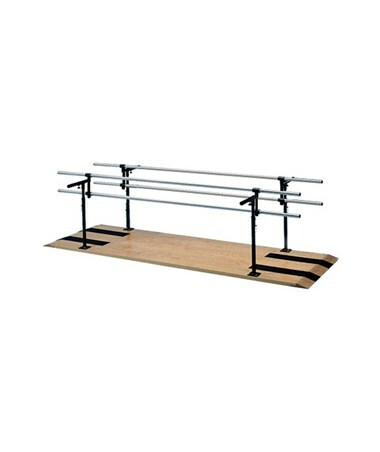 The Hausmann Industries Combination Adult-Child Parallel Bars are medical training devices designed for both adult and child undergoing exercise, physical therapy, and rehabilitation to improve or regain strength, balance, and range of motion. Safe and Stable Construction. Mounted on a 10-feet long Satin-finish hardwood platform, the Combination Adult-Child Parallel Bars have tapered ends for hassle-free wheelchair access and two (2) anti-slip treads on each end. Its 3mm top edge is made for added strength and durability. The sturdy uprights have a 30" fixed clearance between them, are made of steel coated black powder and provides additional stability because of the New Secure Lock System. Adjustable and Multi-Purpose. With both height adjustable Adult and Child's bar included, the Parallel Bars can be easily adjusted with ergonomic control knobs. The Adult Bar can be adjusted 29" to 42" high and 11" to 25" wide while the child bar can be adjusted from 19" to 32" high and 8" to 23" wide. The uprights telescope up/down in 1½” increments and locks into position with fail-safe ball-tip locking pin. 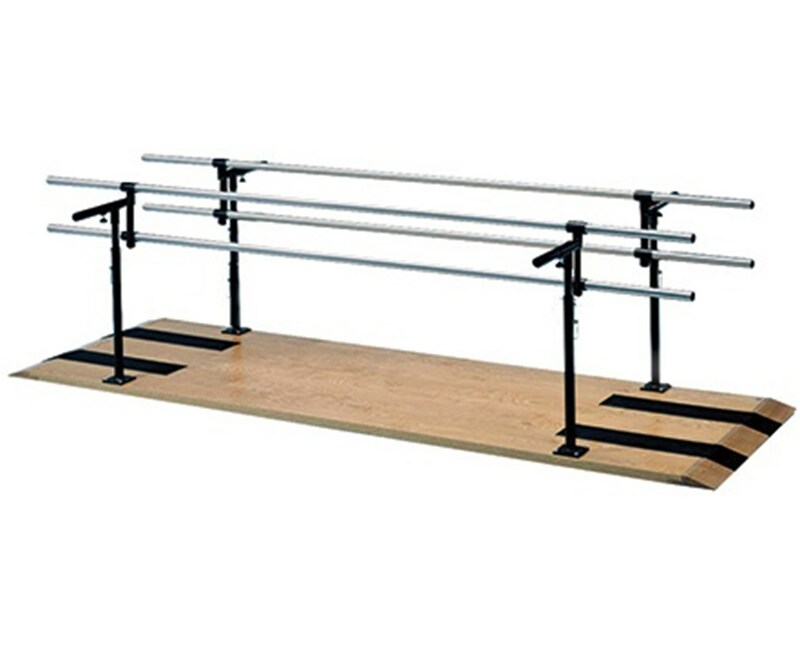 The Hausmann Industries Combination Adult-Child Parallel Bars come with a weight capacity of 400 lbs., an Adult Bar with a size of 10' L x 11" - 25" W x 29" - 42" H and a Child Bar with a size of 10' L x 8" - 23" W x 19" - 32" H.